In my years of teaching I’ve seen many things. But the one thing that is progressively getting more difficult for young children to understand is the concept of money and money matters. In this modern world we just tap our card in order to pay for things. Heck, people even use their phones to scan and pay nowadays! The exchange of cash is becoming less and less, and some children don’t even know what cash is. True story!! I’ve seen it first hand!! When we go to the shops I will insist on L paying for the shopping. Sometimes it’s with cash, sometimes it’s with my card. Interchanging between the two (card or cash) gives him a real life perspective of how shopping or spending can look. Bottom line, it’s vital that he understands the exchange of money for a service or good. So with this in mind, hubby and I got our hands on the book, The Barefoot Investor for Families. 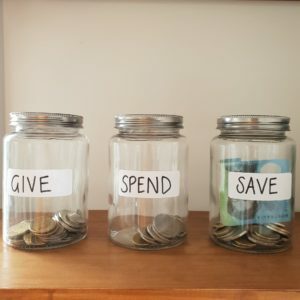 Scott Pape shares MANY tips to teach children realistic and sustainable money management. One tip we particularly loved was the idea of 3 jam jars! Get 3 jam jars and label them Splurge, Smile and Give. 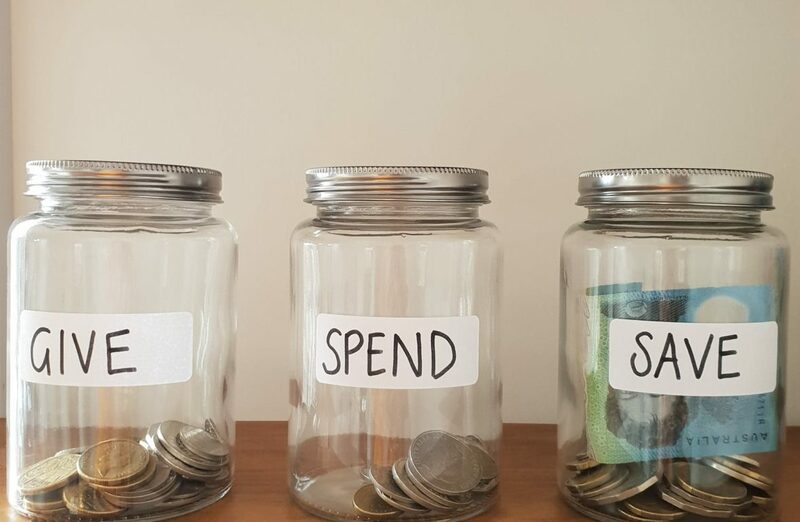 We labelled ours slightly differently (Spend, Save and Give). But ultimately they mean the same. SPLURGE/SPEND: Day to day spending like a treat from the shops, going to the movies or a small toy. SMILE/SAVE: Money stashed away to save up for a big ticket item. Like an expensive toy or a fancy outfit. GIVE: Exactly as the name suggests. Donating to a food bank, buying and donating a Christmas present to a less fortunate family or picking a charity. We labelled these jars clearly and we store them on some shelves where he has access (not quite reaching access!! Hehe!). To fill these jars, all children, even 2 year olds, can have jobs to earn their money. Super simple things like picking up his toys and bringing his empty plate to the sink are examples of our son’s jobs. He earns 50c to $1 for his chores and when we give it to him, we take him over to his jars and he picks a jar to put the money into. In very simple language we explain the jars, and although he doesn’t get it now, he will soon! All of this is a great way to establish a healthy relationship with money and how to use it. It reminds children that money needs to be earned (through jobs) and can be exchanged for things (through shopping). Money is not this whimsical, mysterious thing that lives in the clouds, only to be accessed by tapping a plastic card on a device. It can be tangible. It’s made up of coins and notes. All different colours and textures. Let them earn, let them save and let them spend! All 3 are part of life and the reality of consuming. Play shops at home and let them play with real coins. Your child will thank you one day. Is this something you think you could try with your family?? 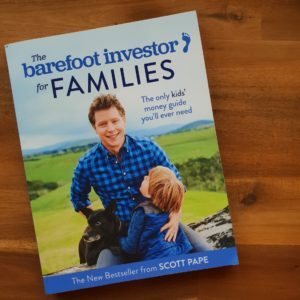 For more wonderfully simple and practical ideas for teaching your children about safely and responsibly earning and spending money, check out The Barefoot Investor for Families by Scott Pape. Thanks for reading, and as always, share your thoughts below!